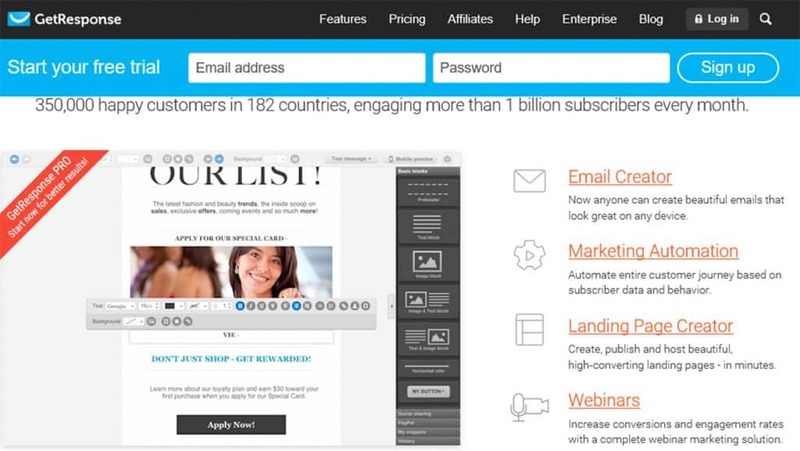 Getresponse Review - What is Getresponse Email Marketing Solution? You are here: Home / Product Reviews / GetResponse Review: Discover all you need to know about GetResponse! GetResponse Review: Discover all you need to know about GetResponse! In this detailed Getresponse review, I will be discussing all you really need to know about Getresponse, and what makes them stand out from other email marketing providers. Although, Getresponse is not a perfect solution that will surely fit all your email marketing needs. The truth is this; there is no 100% perfect email marketing solution anywhere, but you can always find the best email marketing solution that will meet your email marketing needs. Bear in mind; I can easily tell you that Getresponse is perfect for you; but in reality, how can I truly proof such claims when I don’t even know what your email marketing needs are? Personally, I’ve been using Getresponse for years now and I find their services quite helpful. Although I may have my reservations about their pricing but nothing major. I believe they should have some form of free starter package to encourage newbies (it’s my opinion though). Discover facts and insights about GetResponse! I’m sure by the time you finish reading this Getresponse review you will have a better understanding of what Getresponse has to offer and if their services do meet-up to your expectations in term of email marketing. And you’ll also discover many more facts and insights about Getresponse online marketing solution! Getresponse is one of the early companies involved in email marketing solutions since in the late 1990’s; basically, they’ve been around for quite some time now (over two decades). With email marketing becoming more of a necessity in all areas marketing; company’s like Getresponse are getting more attention by the day! 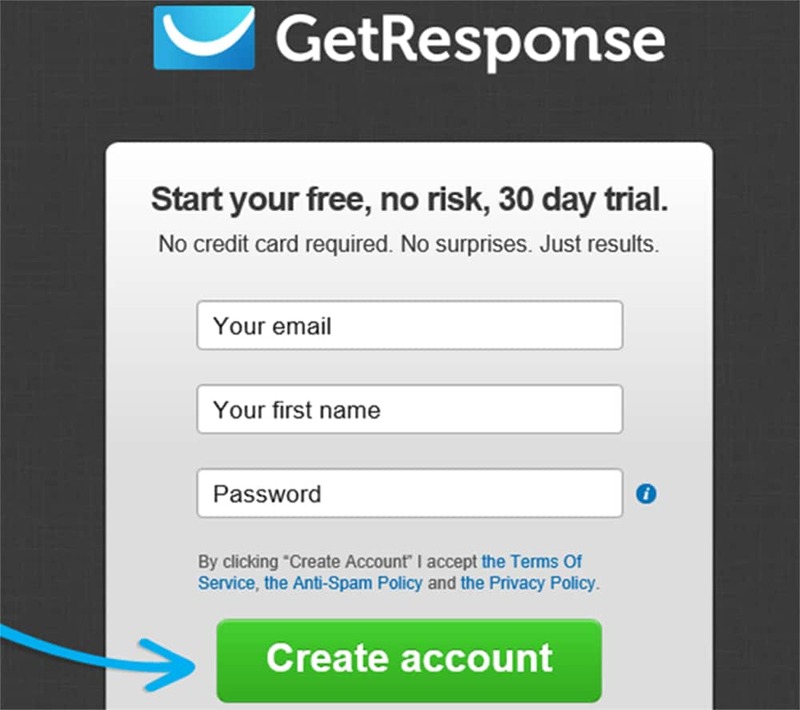 Getresponse Review – What is Email Marketing? Email Marketing can simply be defined as a process of outreaching to potential customers or current customers through emails with the intent to sell products or services to them, or mainly to solicit for donations. Email Marketing is one of the best ways to build your brand awareness and build trust within your audience. Although, there are far more use for email marketing in the business world; but it all depends on individual needs or requirements. The growing need for email marketing is making it a must in the business world; preferably a must for any business that wants to increase their revenue; the fact is; the opportunities involve in email marketing is beyond limits! 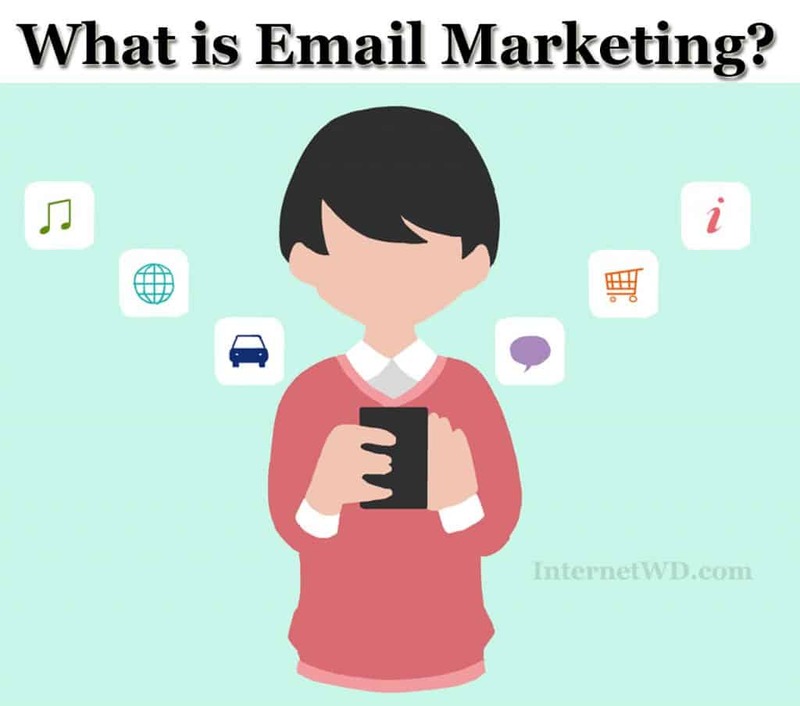 Now that you possibly know what email marketing is; let’s proceed! GetResponse is an email marketing service provider, and its core services involve Online marketing solutions; the company was founded in 1999 by Simon Grabowski (Founder). Currently; GetResponse’s platform is one of the most user friendly email marketing platforms in the industry – in terms of managing your business email marketing list or any other Online marketing requirements. Getresponse platform actually simplifies the process of creating, implementing and managing your online marketing requirements. One key feature i personally love in Getresponse is the ability to create unlimited auto-responder that lets you follow up with your audience automatically and keep them engaged. What’s different about Getresponse in comparison to other Email Marketing Service Providers? Firstly; the ability to try Getresponse’s platform without any commitment (No Credit Card Information is required for the Trial). Basically, with Getresponse’s 30-day free trial; you can try their platform without any risk involve (completely Risk-Free), and build your own email-list of up to 1,000 contacts without paying anything or committing yourself to any future payments. Secondly; Getresponse has All-inclusive tools which includes “Landing Page Builder, Marketing Automation services” (and many more); inclusive in all their packages. In my opinion; i believe that their trial account is enough for you to test and decide if Getresponse is for you or not! Easy to import data (email list) from other email services. Their Customer support system is very helpful and reliable. The starter package is restricted to one landing page and 1000 visitors per month. Getresponse is for anyone (from complete Beginner to Entrepreneurs or Solopreneurs) that wants to manage or build email-list for their businesses (regardless of the size of the business). Who can Benefits from Getresponse? Basically, anyone interested in email-list building and email marketing. What Training does Getresponse Provide? Getresponse does have a program called “Getresponse University”. It’s a program where you can learn how to grow your email marketing list. 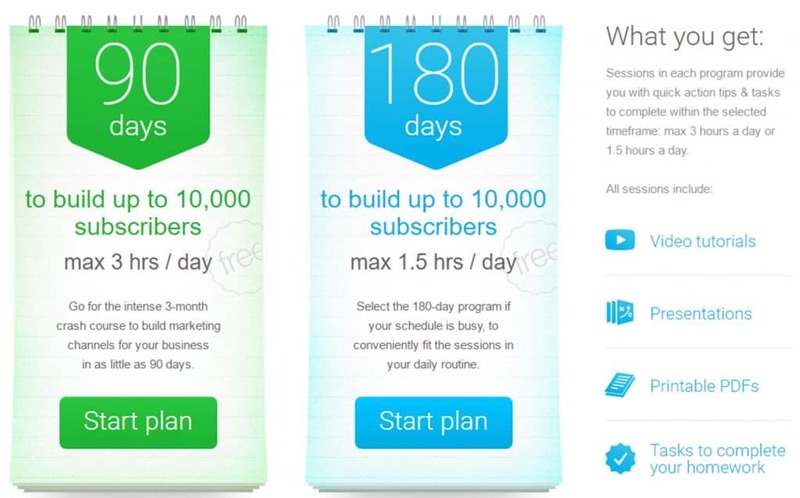 Basically, you will be taught how to grow your email marketing list from any number you’re starting with, and it up to 10,000 subscribers in 90-days (that’s 3-months)! Although, it has option for 180-days (that‘s 6-months) for the training – it’s totally up to you to choose. Getresponse University is a complete list Building Program with comprehensive email marketing course that covers everything you need to know to grow your email-list. The interesting part of Getresponse University training is the fact that it’s completely FREE! You only need to be a member to take advantage of it (it’s inclusive in all their packages). Getresponse University program is divided into sessions; and each sessions does provide you with quick action tips and tasks you need to complete within your selected timeframe; basically the options available are 1.5 hours a day or 3 hours a day (depending on your preference). You’ll get Tasks on each session; basically to complete your homework’s. What Support does Getresponse Provide? EMAIL (Perfect for email marketing beginners – it has most of the required features and up to 1000 subscribers) – $15 per month. PRO (Perfect for small business or for any marketer that requires more features) – $49 per month. MAX (Mainly for advanced or professional marketers with needs for advanced features) – $165 per month. ENTERPRISE (Mainly for businesses seeking higher performance solutions – Mid to Large size businesses) -$799 per month. Having said all the above about Getresponse; i’m sure you’ve learn one or two things from this Getresponse review! Truth be told; Getresponse is one of the cost effective email marketing service providers in the industry; you’ll basically get all the necessary tools you need to get started under one subscription; and which will surely save you a lot of money in the long run. Imagine if you have to pay for Landing page builder and Marketing automation separately? Follow this link “Marketing Automation software Price Comparison” to see the prices for yourself on Google-search. What is my Opinion about Getresponse? Well; i was actually using Aweber before i switched over to Getresponse! Okay then; what are my reasons of switching? I basically needed more value for money, reliability and easy to use platform; and which i found all i needed with Getresponse. Please don’t miss-quote me; i’m not faulting Aweber in anyway, but i’m only clarifying the fact that i personally prefer Getresponse over Aweber. I’ve been using Getresponse for some time now, and i can’t fault them in any way for now; although, no business is perfect but as much as you’re getting value for your money (with reliability and efficiency); to me – that all that matters! If you want some hands-on with GetResponse Online Marketing Solutions; you can Try it for FREE – 100% RISK FREE – No Payment information is Required! Please note that this GetResponse review is completely based on my experience using the product. So, if you’ve find the review helpful; please kindly share it with your friends. And also; please don’t forget to share your thoughts (or possibly feedbacks) in the comment section below! Over to You, and Many Thanks! The Editorial Team at InternetWD is a Team of Passionate Bloggers with vast knowledge in the Make Money Online Niche; the Team is led by John Abiola. Page maintained by InternetWD Team. task and our whole group will likely be thankful to you. Great article! I’m going to try GetResponse. Is their marketing automation difficult to handle? Many thanks for the feedback; it’s much appreciated. Also, regarding your question about Getresponse Automation; Yes – they do provide a very reliable Automation that is much newbie’s friendly. In actual fact; I intend to write a detailed review about Getrespose’s Automation soon (based on my experience using it). Feel free to join our newsletter, so you would be able to receive our updates.